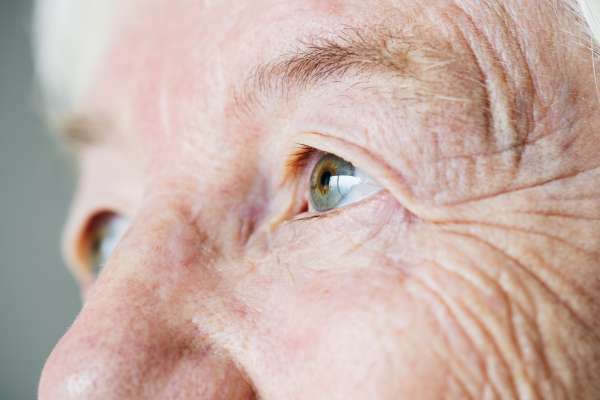 Did you know that a simple eye exam could detect early signs of Alzheimer’s disease? New research has shown that with a special technique, your comprehensive eye exam could become a screening tool for Alzheimer’s disease, prior to the appearance of any clinical symptoms or the need for more invasive testing. Alzheimer’s disease is an irreversible, progressive brain disorder that attacks the brain’s nerve cells, resulting in loss of memory, thinking and language skills. In a recent study from the Washington University School of Medicine, doctors suggest that it may be possible to detect early signs of Alzheimer’s disease and dementia by testing the retina. The key indicator for Alzheimer’s disease is a buildup of beta-amyloid proteins in the brain, which disrupts cell reproduction and neuronal communications. The current procedure to detect this buildup is costly and highly invasive, making preliminary screenings a challenge. The new research by Greg Van Stavern, MD, and Rajendra Apte, MD, PhD, is changing that whole concept. What this recent study shows is that these beta-amyloid proteins can be detected in the retina and other ocular tissues, using the eye as a window to the brain. "The retina and central nervous system are so interconnected that changes in the brain could be reflected in cells in the retina," said co-principal investigator and Professor of Ophthalmology and Visual Sciences Rajendra S. Apte, MD, PhD. Although more research still needs to be completed, these findings are promising. If confirmed, this development could change the way that doctors work together to assess your overall health and wellbeing. Alzheimer’s disease would potentially be detected earlier and easier, which could result in earlier intervention, improved treatment plans and better patient outcomes. For another example of how eye exams can reveal more than just ocular problems, read about how a routine eye exam at FYidoctors saved a life. A comprehensive eye exam serves as a good indicator into your overall health and wellness. Book your next appointment at an FYidoctors location near you.